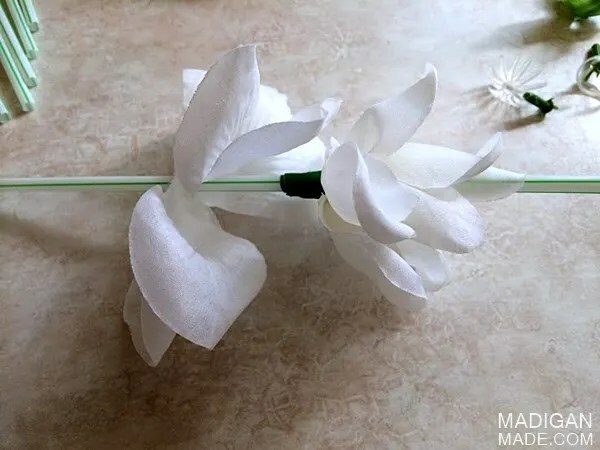 MAKE: artificial silk flower DIY straws. So… let’s say you recently made a DIY chocolate bouquet and a modern silk flower wall art piece. What do you do with all of the leftover artificial flowers? 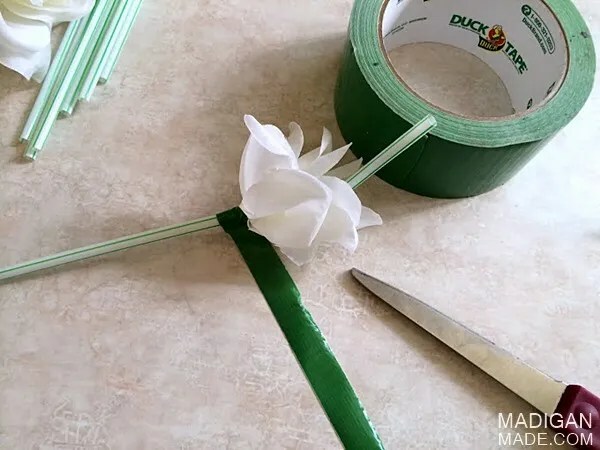 You make pretty flower party straws, of course! Duh. I’ve had my reservations about artificial flowers for years, but it’s been kinda fun experimenting with this craft product lately. Since I had extra blooms from my recent silk flower craft projects, I started to play with them and figured I could add them to some straws. 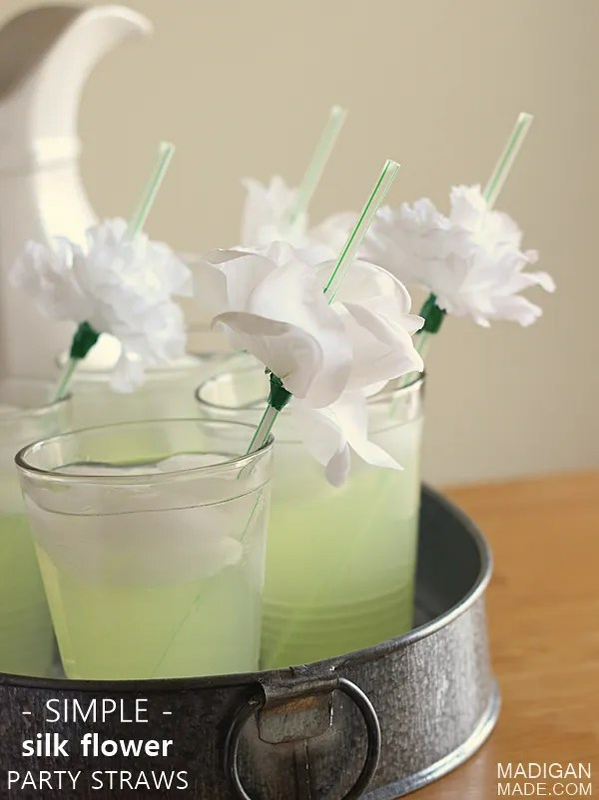 These flower straws were very easy to make and would be fun to make for your next party or shower… or when you want to fancy up your cocktail on a Friday night sitting on the deck. Whatever floats your boat! I pulled the flowers and petals apart. I cut small slits in the centers of the petals to make the hole bigger, if needed. If I felt they needed a little more fullness, I added another layer of petals below the first one and used more tape. That’s it! 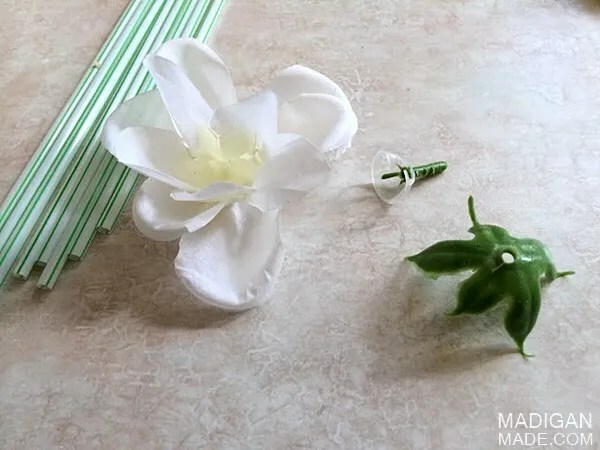 These fun flower party straws are a quick craft and easy way to use up some old craft supplies. 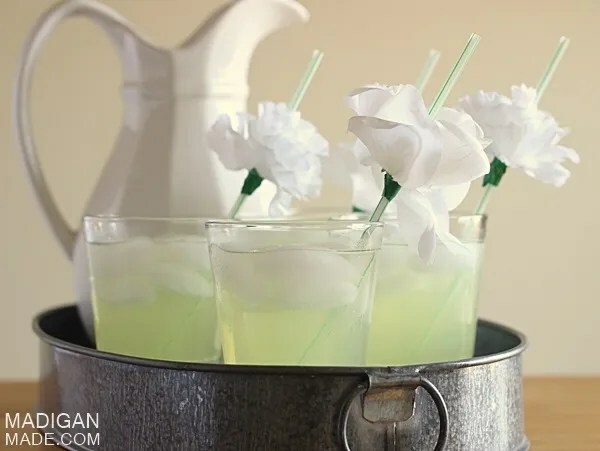 Plus, they elevate your lemonade from average to exciting and party-ready!